Imo State-based pro-democracy activist, Paulcy Iwuala, has regained his freedom after spending 14 days in his abductors’ den. Iwuala, while describing his experience in the hands of his abductors, said he saw death. It was gathered that Iwuala was dropped off at Atta in Ikeduru Local Government Area of Imo State by the kidnappers in the wee hours of Tuesday. Revealing details of what happened, a family friend told The Punch that Iwuala was freed after friends and family members provided over N7m in installments as ransom to his abductors who had earlier demanded N50m for his freedom. “They initially demanded for N50m, but thank God, I am a free man now. They did not release my jeep to me. They even called a buyer in my presence. “The doctor is here and I am ready to run all the medical tests; but most importantly, I want to thank millions of Nigerians who prayed and launched a social media campaigns for my release. “This experience has further fortified me to keep fighting for humanity, the destitute, the less privileged ones, orphans and sick children. The Police Public Relations Officer in the state, Andrew Enwerem, could not be reached for comments as he was said to be at the South East Security Summit in Owerri, with the Inspector General of Police, Ibrahim Idris, also in attendance. 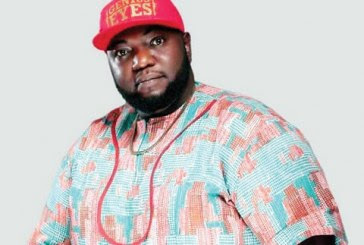 The Punch had reported that Iwuala, founder of Genius Eyes International, was kidnapped along the Spibat area of Owerri while returning from the birthday party of one of his friends at the new Owerri axis of the state capital. After holding Iwuala for 10 days, his abductors communicate with his family, demanding a huge amount of money as ransom.